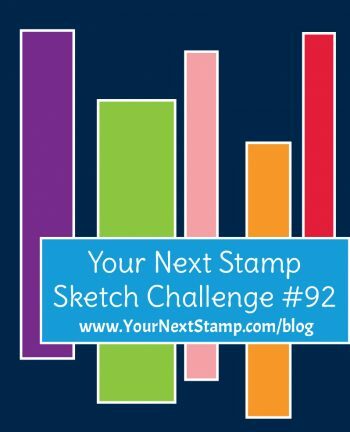 Stamping and Crafting in Chicagoland! 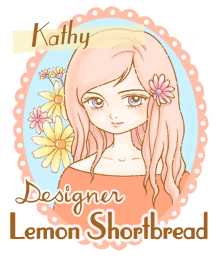 Today's design team project is with Lemon Shortbread and uses their Sailor Dress Sunflower Girl digi stamp along with the sketch from Your Next Stamp. I will also be entering her @ Dragonfly Dreams for "Summer", @ Stamping Sensations for "In My Garden", @ Crafty Hazelnut for "Using Patterned Papers" and @ Country View for "In The Summer Garden". I colored her up using one of my new favorite combinations....first I laid down the basic colors using my Spectrum Noir markers and then add the shading and details using colored pencils. 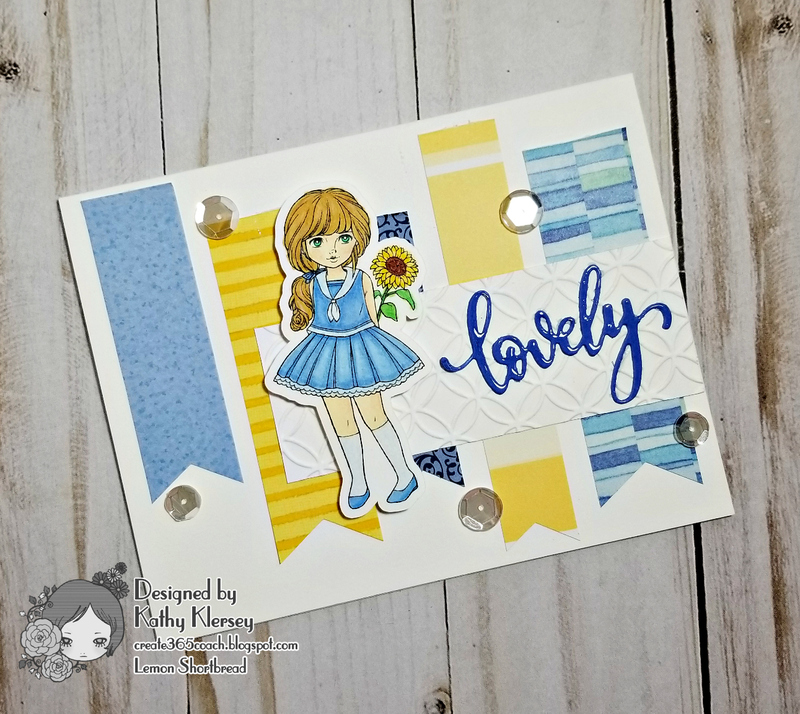 I coated the "lovely" sentiment die with Glossy Accents to get that gorgeous dimension and shine. The patterned papers are all older- came from my stash that goes back about 10 years or so -and the banner tails are super simple to make using the Triple Banner Punch from Stampin' Up. The small white layer was run through an embossing folder and some giant sequins added the finishing touch. Your blue and yellow colour palette is really lovely on your pretty card, many thanks for joining in withy our 'In my Garden' theme at Stamping Sensations challenge. Love the combination of blue and yellow. Gorgeous card! Thanks for sharing it with us at Stamping Sensations. Thanks for joining Stamping Sensations in the garden theme, good luck. Cute little card with this sailor girl! Thank you for joining our challenge at Country View Crafts this month. This personal blog is currently generated from the USA.